“This year, we are excited about adding new flavors to our product line to appeal to adults. As a busy and health-conscious mom, my first goal was to create a trusted, healthy water brand for kids. 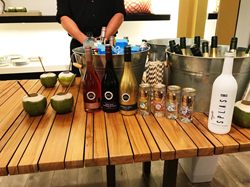 But I must say, it’s very exciting to also appeal to adults looking for the perfect clean-label drink when they are on the go or a refreshing, zero calorie mixer for a skinny after work cocktail”, said Heather McDowell. Tickle Water is available for a suggested retail price of $1.29 to $1.49 per 8oz. can. The product can be purchased nationwide through Amazon.com and Jet.com. Additionally, Tickle Water can be found in over 500 stores in the North East, including Kings, Stew Leonard’s, Fairway, Zabar’s, Westside Market, Best Market, DeCicco & Sons, and Key Foods; and in Florida, Tunie’s, Earth Origins Market, Mother Earth Natrual Foods, Akins Natural Foods, and Nutrition S’mart. Tickle Water will be an exhibitor at this year’s Natural products Expo East September 14 – 16 in Baltimore, MD. Visitors can stop by booth #8020 to sample a new exciting flavor that is being launched at the Expo. For additional information, please visit http://www.drinkticklewater.com. Tickle Water is a premium sparkling water company dedicated to providing honest and clean hydration. 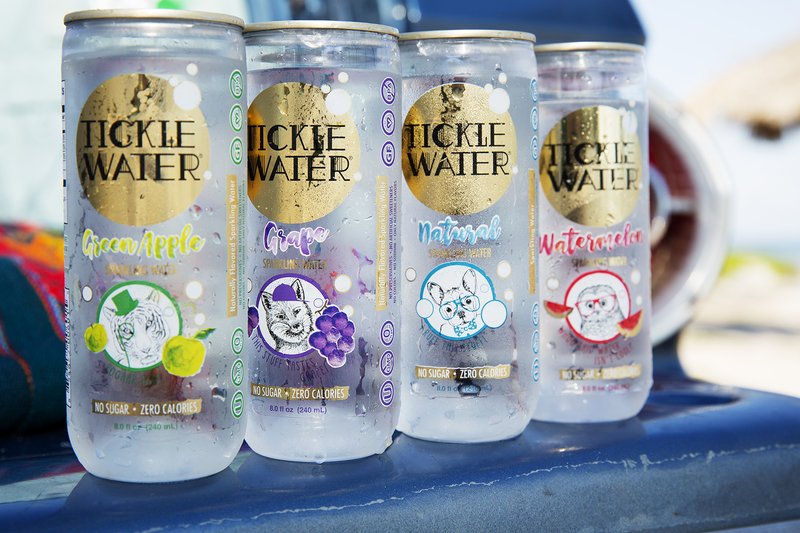 Tickle Water is the first sparkling water in the market created specifically for children, yet enjoyed by all ages, complete with delicious flavors and a recyclable transparent PET can making for a perfect beverage for any occasion. Every can of Tickle Water is simply made with premium sparkling water and natural flavors without artificial ingredients, sugar, or preservatives. For more information, please visit http://www.drinkticklewater.com. Tickle Water - 0 Calories. Packed with Flavor.